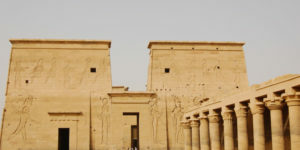 When many people think of Egypt guided tours they quite rightly think of its pyramids and temples, pharaohs and kings. 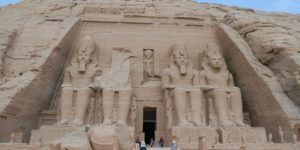 There are amazing monuments to see in Egypt in Aswan, Abu Simbel, and Luxor. 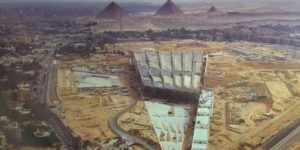 Travelers in Egypt can visit Valley of the Kings, Valley of the Queens and the Egyptian Museum plus so many amazing mosques and churches. 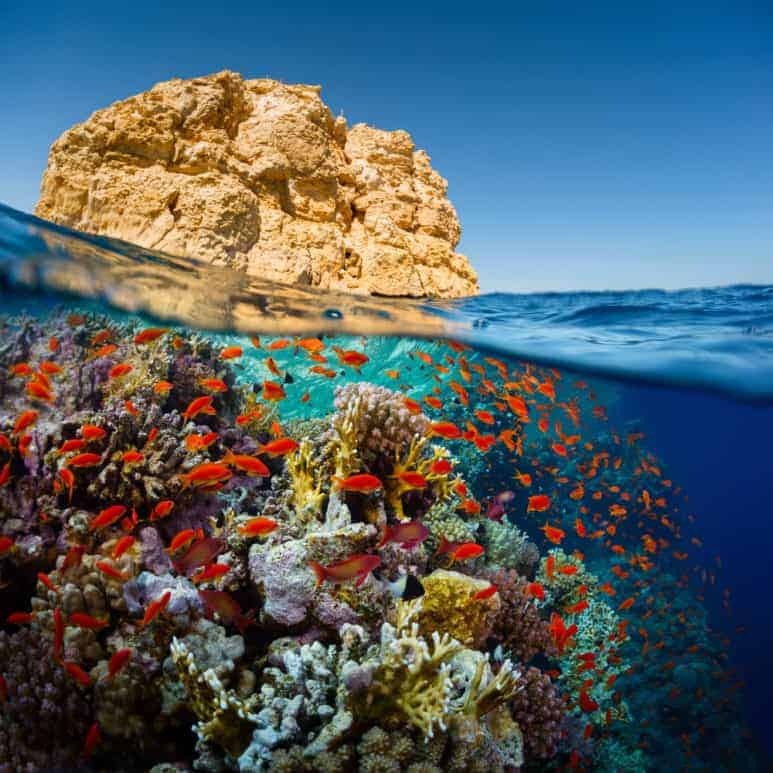 But did you know that Egyptian Red Sea coast is home to spectacular beaches and some of the world’s best scuba diving? 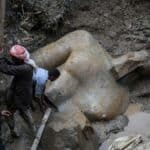 Where Is The Egyptian Red Sea? 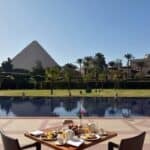 Just an hour flight east from the hustle and bustle of Cairo is the majestic beauty and tranquility of the Red Sea, an inlet of the Indian Ocean. The world’s most northern tropical sea is home to thousands of beautiful fish and corals, and its crystal clear waters are a perfect haven for relaxation after visiting the dusty desert monuments to the west. 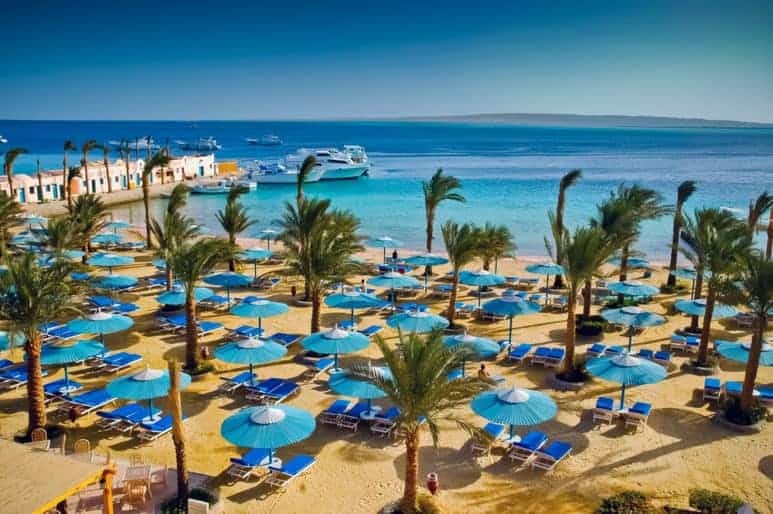 There are two exciting cities on the Red Sea coast perfect for your beach or diving holiday, Hurghada and Sharm el Sheikh, and both are world renowned for their spectacular dive sites. 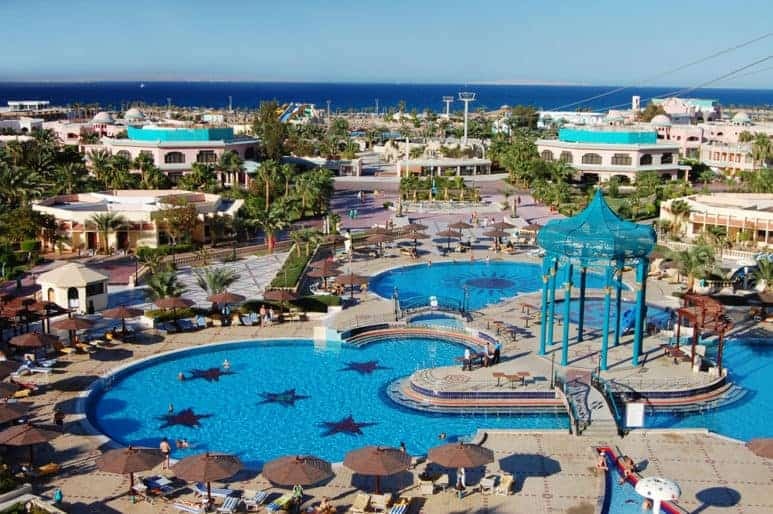 Stretching for 25 miles along the western shores, the Hurghada coast is stunning, and with so many miles to choose from there is a beach resort for everyone. 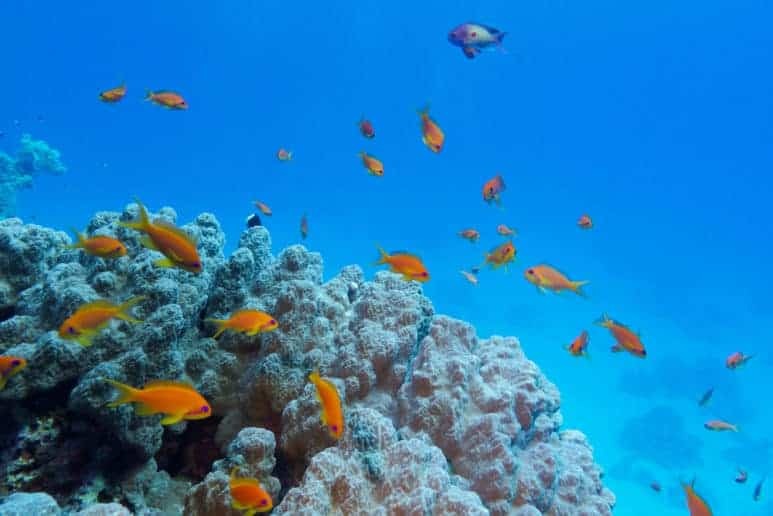 Diving is big business on the Red Sea, Egypt, and with over forty recognized dive sites around Hurghada, with alluring names such as Dolphin Reef and The Ulysses Wreck, you will have an excellent diving experience. Diving season is year round, with peak sea temperatures of 28°C between July and September. Sharm el Sheik is on the southern edge of the legendary Sinai Peninsula, and like Hurghada, the colorful town offers something for everyone. 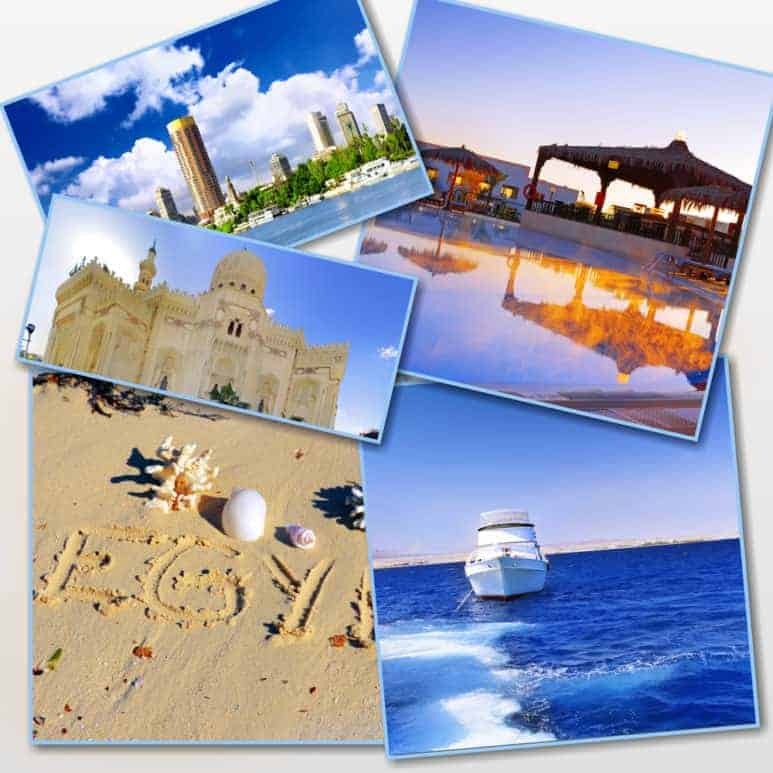 Besides the outstanding scuba opportunities, Sharm is famous for its lifestyle. There are hundreds of outstanding restaurants, bars and clubs throughout the area, and as well as over thirty dive sites there are equally wonderful beaches lining the passive azure sea. There are plenty of other attractions to keep you busy during a stay at one of these wonderful cities. From Hurghada it’s easy to experience the serenity of a desert expedition, either slow and steady on the back of a camel, or fast and furious on a quad. In the desert you can dine with the local Bedouins or gaze in wonder at the blanket of stars above on an astronomical night tour. If you prefer your watery fun to be dry, you can visit the cool aquarium, and even submerge beneath the ocean in a submarine. The city’s fancy marina is a vibrant place to hang out and relax after your day, and also admire the magnificent fleet of luxury yachts. 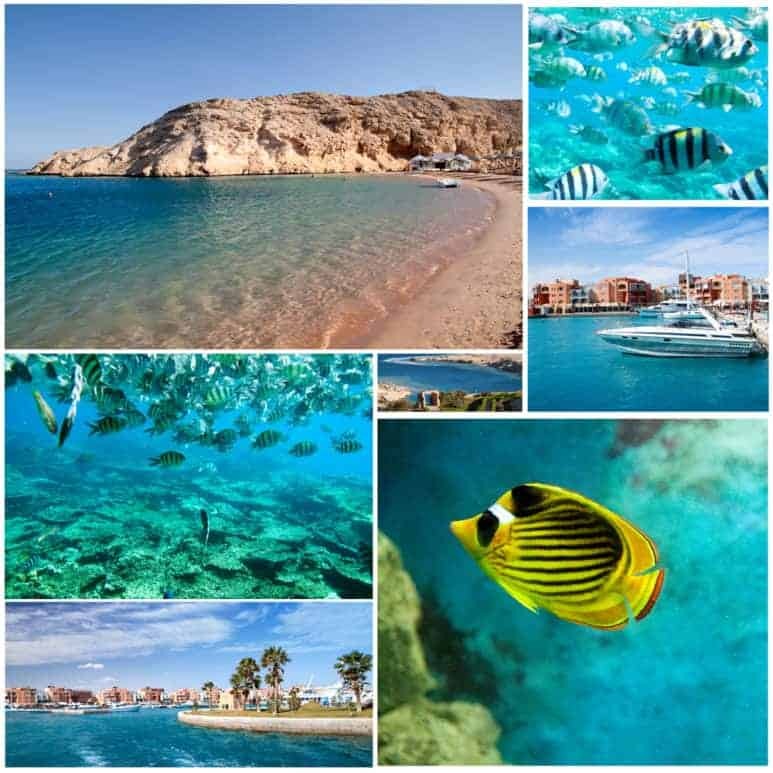 Over in Sinai, Sharm has no shortage of alternative activities, whatever your personality. Since you are already in Sinai, a visit to the biblical Mount Sinai and the nearby Greek Orthodox St. Catherine’s Monastery is an interesting option, while a few miles south of the city you can witness nature at its beautiful best at the extraordinary Ras Muhammad National Park. 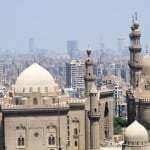 The stunning Islamic architecture of the nearby Al Mustafa Mosque is impressive, and if you still have any energy after your excursions and sightseeing, why not take a romantic sunset horse ride on one of the fantastic beaches to conclude the most memorable of Egypt luxury tours. 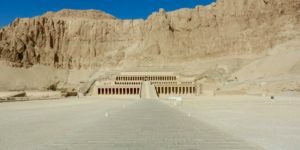 Yes, Egypt is synonymous with history and spectacular monuments, but why not add The Red Sea to one of our amazing Egypt tour packages. 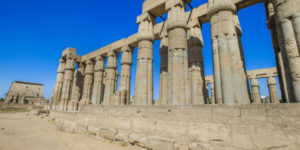 Make sure to visit our site to learn more about things you need to know before visiting Egypt including first timers guide to Egypt as well.